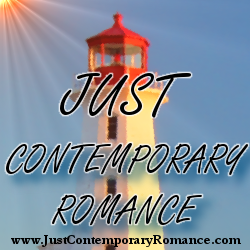 I'm thrilled to be at Just Contemporary Romance talking about my latest release, Some Like It Sizzling. This is the third book in the Perfect Recipe series, and friendship has played an important role in each story. Of course, at its core, Some Like It Sizzling is a love story. I would argue, though, that it is not only a love story between the hero and heroine, Luke and Jenna, but also Jenna and her two best friends. Jenna and Ashton have been friends since they were children, while Chloe joined the pair as an adult. The three are as close as sisters (which is nice for Jenna, since she grew up with four older brothers). They'll disagree, they'll fight, but they always have each other's backs. And Chloe, a pastry chef, always makes sure that something sweet follows any heartache! When Jenna hits rock bottom, it's with support from Ashton and Chloe that she is able to pick up the pieces and repair her life. Although Luke plays an important role in her resurgence, it's her friends she can always count on to love her unconditionally. The relationship between Jenna, Ashton, and Chloe was inspired, in part, by my own friendships. I have my group of "Ashtons" - friends who have been by my side since elementary school and my "Chloes" - those I met later in life but who are just as important to me. No matter the ups and downs in our lives, we are always there for each other. There is a line in the story that, in my opinion, sums of Jenna, Ashton, and Chloe's friendship perfectly. After a particularly awful day, Jenna is hiding out in her apartment. She had previously texted her friends to tell them she wanted to be alone, but of course they show up at her door. When Jenna asks if they received the message, Chloe replies, "We got the text. It said ‘come over now and bring dessert’." Hmm...we should probably all make friends with a pastry chef. Former model Jenna Rawley has spent her entire life craving the security and stability she never had growing up. Her wedding day was supposed to be the day all of her dreams came true. Instead, the groom disappears and Jenna runs from the church...and right into the arms of her high school sweetheart. Robbie Terman is a contemporary romance author, amateur foodie, and handbag aficionado. She finds it way more fun to live in a fictional world, where the little black dress always fits perfectly, designer shoes don't come with price tags, and a handsome man is always there to lift you up when you fall. When you read her books, if you cry a little and laugh a lot, that was just the reaction she was hoping for.